Learn why Moisture Tan was voted the best self tanner in a study of 15 high-quality sunless tanners. Get FREE 2-3 day USPS Priority Mail shipping on orders over $35 in the continental United States. Looking for the best self tanner for the face and body? Moisture Tan Professional sunless tanner and bronzers are an innovative sun safe self tanning lotion that develops into the truest, most natural-looking tan available in a bottle. Moisture Tan bathes your skin in the rich emollients of Sesame Oil, Jojoba Oil, Vitamin E, and Aloe Vera and since Moisture Tan has no added fragrance, you'll experience virtually no odor. Moisture Tan was made famous by it’s natural color, and quick and simple, no-mess lotion that results in a streak-free, orange-free, beautifully even tan. Every time! While most self tanners and sunless tanning products leave an unappealing orange finish, embarrassing streaks, and an awful smell, just a touch of Moisture Tan self tanner is all you need to achieve a golden brown, healthy-looking, bronze glow without any orange ugliness or smelly odor. 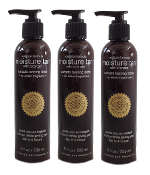 Moisture Tan is the only fragrant free self-tanner available. That means no horrible smell, only darker, glowing skin. We are so confident that Moisture Tan is the best sunless tanner and bronzer tanning lotion that we'll give you a NO RISK offer! If after using Moisture Tan, you wouldn't recommend it to all your friends or it fails to give you the truest, most natural looking tan you've ever had - We'll refund your money back! - 100% - No questions asked! Our customers are the proof! Read their self tanner reviews of our Moisture Tan Professional line of self tanner and bronzer sunless tanning lotions. "This is the best tanning method because it is the only safe tan and the only way to tan that doesn't increase the risk of wrinkling, brown spots, and skin cancer"
"For many people, a good tan is an "essential" part of summer. Luckily, there are ways to get that gorgeous glow without exposure to the sun's harmful rays." 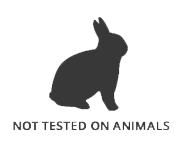 "Just received my order and I LOVE THIS PRODUCT! No orange, no tint of orange, your product is natural tan glow. Did I mention NO ORANGE." - Amy B. "I just wanted to say this is the 2nd time I've ordered this. I've used it all summer, and everyone thinks it's a tan from being out in the sun. I love it!" 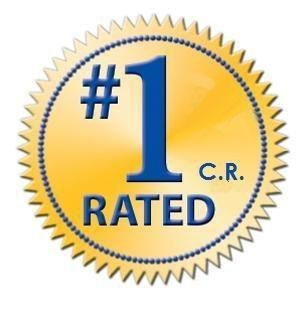 - Sue C.
"Moisture Tan is the best sunless tanner I've ever tried - no question. When I'm feeling pale, I rub some on my arms and face before work. By lunch time I have a beautiful tan - my face is a perfect color ... Awesome!" - Teresa H.
Almost every self tanner on the market today has at least one of these ingredients: Stearic Acid, Triethanolamine, and/or Mineral Oil. All these ingredients will turn your Orange due to their high pH levels of over 6. Tanning Bay Products line of Moisture Tan self tanners and sunless tanning lostions do not contain any of these high PH ingredients and will give you the most natural looking fake bake tan you've always wanted! Proven To Give Your Skin a Vibrant, Healthier Appearance Or Your Money Back! Application: For the smoothest application, it's better to apply Moisture Tan Pro self tanning lotion right after you dry off from a shower. Lightly apply to areas you wish to tan. Rub in smooth and evenly. Your tan will develop slowly over 4-6 hours. For a darker tan, reapply as often as you like. Full color at 4-10 hrs. Your tan will last around 3-5 days depending on activity level. For detailed instructions see: How to Apply Self Tanner. Moisture Tan Professional is a white lotion. Moisture Tan w/ Bronzer is a brown lotion. With both tanning lotions your tan will develop slowly over 4-6 hours. With the bronzer, you will have an instant bronze tan. For a darker tan, reapply as often as you like. Full color at 4-10 hrs.